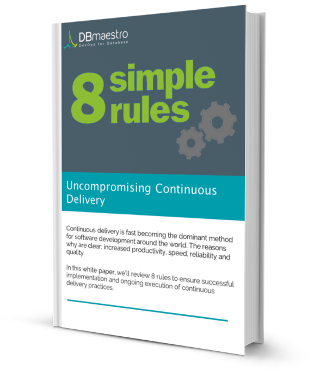 Like any other process, continuous delivery can be mishandled, and it must be carefully designed to meet specific organizational and environmental challenges. In this paper, we have distilled 8 all-purpose continuous delivery best practices and identified the leading tools for each of them. These “8 unbreakable rules” touch on building, testing and deployment, with an emphasis on version control and automation throughout – from coding to corrective measures to the database.